MOCKINGBIRD, THEN FLY One of Austin's oldest distilleries, Mockingbird, produces Tito's handmade vodka. 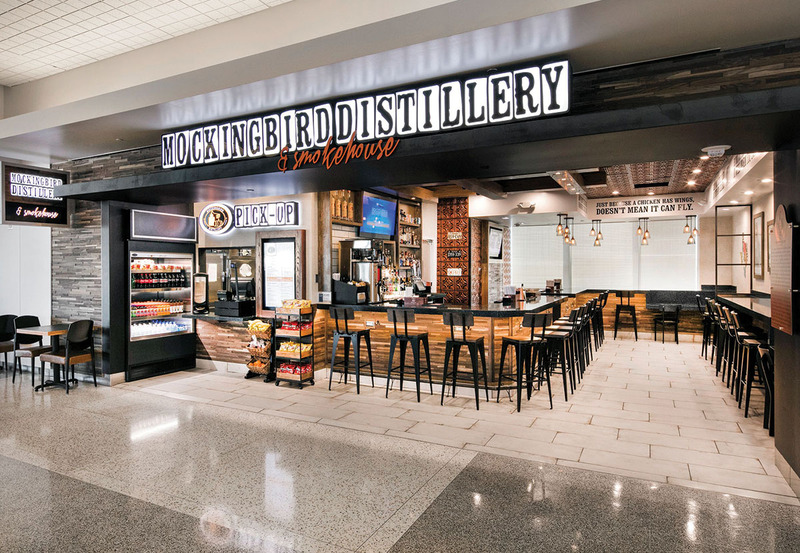 At George Bush Intercontinental Airport's Terminal A at gate 15, Mockingbird Distillery & Smokehouse features smoke-kissed breakfast plates, brisket, smoked chicken and Texas sausage. Chefs are dubbing it the farm-to-terminal trend. These days, travelers in an airport can sample creations from James Beard Award-winning chefs. Take Hugo Ortega, this year's winner of Best Chef Southwest, who opened Hugo’s Cocina in January in Terminal D at George Bush Intercontinental Airport (IAH). Meanwhile, at the new 265,000-foot Terminal C North, 2014 James Beard winner Chris Shepherd’s team is searing hand-cut steaks at Ember. Nearby, Coltivare chef-owner Ryan Pera is kneading dough for smoked pulled-pork and Margherita pizzas at Pala. Soon, he'll open Gavi in Terminal E, an osteria and market featuring pastas, antipasti and a wine bar. Chef-driven airport dining isn't unique to Houston. Chefs across the country are spreading their wings, partnering with airport restaurant-management firms, including HMSHost and OTG. If you’re lucky enough to have a long layover at North Carolina's Charlotte Douglas International Airport, you can fork into Todd English's barbecue shrimp and grits at 1897 Market. At Chicago's O'Hare International Airport, Rick Bayless’ Tortas Frontera is scrambling eggs with chorizo sausage. It's now expected for a metropolitan airport to feature one or two restaurants tied to celebrity chefs, but in the past few years, companies have taken it up a notch, spotlighting local chefs and local flavors, including Mockingbird Distillery & Smokehouse, Hubcap Grill & Beer Yard, The Breakfast Klub Express, Cadillac Mexican Kitchen and Tequila Bar, Landry's Seafood, Tony's Wine Cellar & Bistro, El Tiempo founder Roland Laurenzo's Vida Taqueria, Monica Pope's Olio, and Bam Bam, a Vietnamese-Cajun venue from Cajun Kitchen chef John Nguyen. For hickory-smoked briskets and fried seafood, there is Third Ward-staple Ray’s BBQ. All are located at various IAH terminals. Bryan Caswell was the first Houston celebrity chef to land at IAH three-plus years ago, successfully opening Gulf Coast-inspired 3rd Bar Oyster and Eating House with HMSHost in Terminal B. Most brick-and-mortar restaurant owners would be over the moon serving 500 people a day. The 3rd Bar's typical cover is 800. But opening a restaurant inside an airport is "like opening a taco stand on the moon," Caswell said. "There are a lot of things that I don't have any point of reference for, like security clearance for all employees and the type of staff willing to work at an airport." He learned, too, that peak hours differ at an airport. "It changes and changes often," he said. Tuesdays and Thursdays are typically busiest at 3rd Bar. "Typically, Saturday is the busiest night for a restaurant, but in the airport, Saturday is dead. It's very topsy-turvy. There is more math involved as to when you're busy. And holy smokes! If there are rains or delays, you turn into a ballpark." Despite the challenges of running a made-from-scratch restaurant next to a landing strip, Caswell wasn't deterred last winter from opening Tex-Mex El Real at the bustling food court in Terminal B . • Agave: A taqueria from Taco A Go Go and Fajitas A Go Go chef Sharon Haynes. 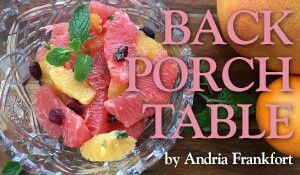 • H-Burger: New Orleans-transplant chef Antoine Ware's ranch-to-table, Southern-inspired eatery. • Magnolia Meatball Shop: Lucille's Christopher Williams will feature classic comfort food with a twist. • Q: Renowned barbecue pit master Greg Gatlin plans to install a glass-enclosed smoke room here. • Gavi: Chef Ryan Pera will serve pizzas and pastas here, as well as offer a mini Revival Market featuring a grab-and-go deli with charcuterie and other staples, such as pickles and jams. 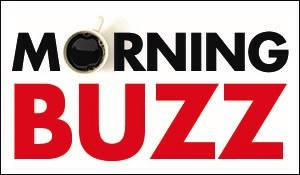 • Yume: Chris Kinjo and Tiger Den owner Mike Tran will roll out sushi and ramen noodle soups. • Tanglewood Grille: Pass & Provisions chefs Seth Siegel-Gardner and Terrence Gallivan will put their deft touches on hand-cut steaks, build-your-own burgers and locally grown greens. The IAH's dining guide is available at www.fly2houston.com/iah/dine. William P. Hobby Airport has limited choices that include Barry's Pizza and a few Pappas concepts, including Yia Yia Mary's and Pappadeaux Seafood Kitchen – see www.fly2houston.com/hou/dine.